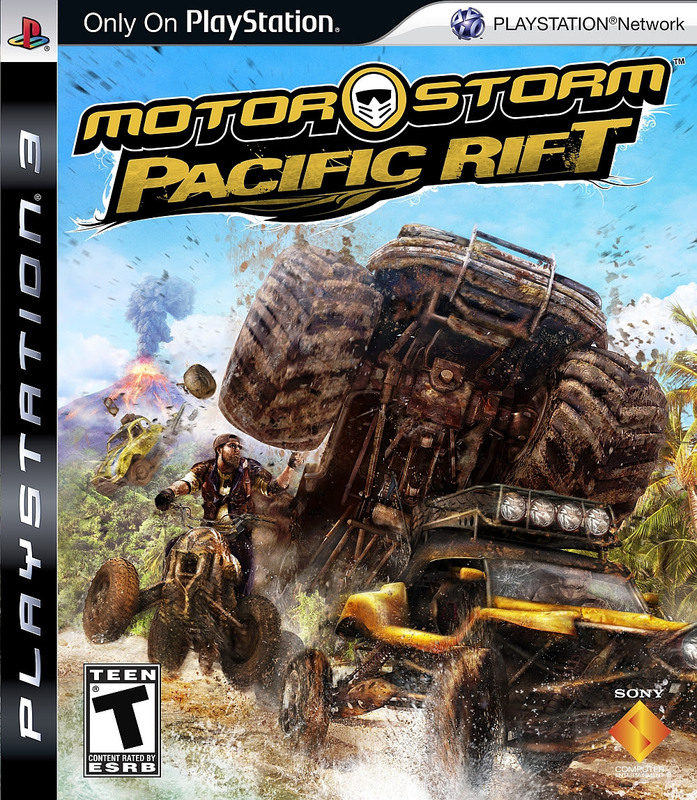 A few days ago, I was listening to some pretty sweet music, and discovered that it was featured in a video game from the PlayStation 3 era, “MotorStorm: Pacific Rift.” The game was released in 2008, just eight days after “Midnight Club: Los Angeles” was released. However, other than similar release dates, the two games have no relation to each other. They had different developers (“MotorStorm” by Evolution Studios, “Midnight Club” by Rockstar) and different publishers (“MotorStorm” by Sony, “Midnight Club” by Rockstar, meaning the company developed and published the game). In “MotorStorm: Pacific Rift,” you play as a nameless driver (male or female) who joins MotorStorm after learning about an island created with the four elements – fire, earth, air, and water. Four different zones have been set on the island corresponding with the four elements. Each zone’s tracks have different features, like huge jumps or lava, that make them unique and really feel like they are a zone of that element. 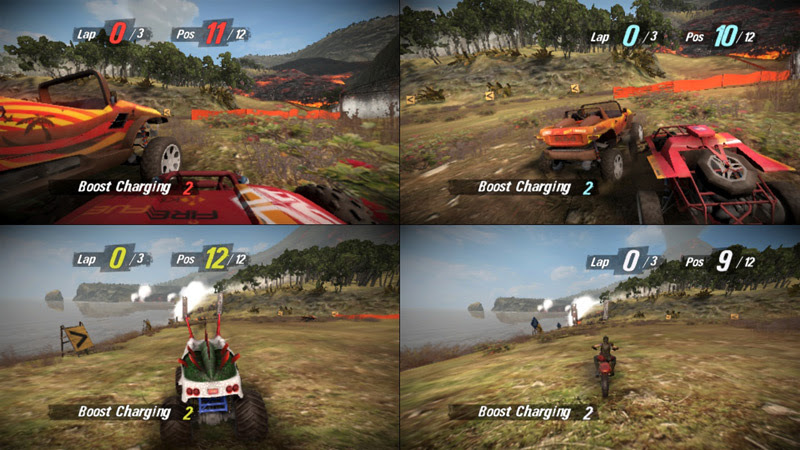 Before each race, the player can select from a variety of vehicles: ATVs (nimble but fragile like the dirt bike), buggies (speedy four-wheel versions of dirt bikes and ATVs), racing trucks (all-arounders, or vehicles that are pretty average in terms of speed, handling, durability, and so on), and many more. Plus, as Paul Hollywood, the creative director of “Pacific Rift,” told Gamereactor TV, “What we’ve also done is we’ve added another vehicle class to the game. So you know that MotorStorm has got lots of different vehicles, we had seven in the first game, we now have eight. We’ve introduced the monster truck, a great new addition to the vehicle lineup. It is a brutal vehicle, and it could just crush the smaller [vehicles].” However, while you can change the model of your vehicle once you have chosen a category, it seems to have no effect on the performance of your car. If you switched the model of your buggy, the new model would have the same performance of the other model. Most racing games have some sort of nitrous or boost system. So does “MotorStorm.” However, while there is no limit on boost allowed during a race, there is a possibility that the tank can overheat from overusing boost. Overusing boost will set your car on fire and leave it (and probably you) in pieces. On some tracks in the four zones, there is a water system (usually a small river or an intentionally built “car wash”) to cool your vehicle’s boost tank. However, lava on tracks (obviously found in the Fire Zone) will do the opposite, heating up your tank. This twist on the boost system is quite intriguing (and makes races that much more stressful but addicting to keep an eye on your tank) and is not very common in racing games. In fact, I don’t think I have seen this in a racing game, past or present! The game states at one point, “In the words of a wise man, ‘Don’t get cocky, kid.’” Obviously he’s never been in a MotorStorm. Feel free to get cocky whenever you want; the attack buttons let you throw punches and slam larger vehicles into your opponents. Just be wary that some racers might not take too kindly to being attacked. This “aggression system,” as the game calls it, decreases the difficulty a bit. It gives you a rival to pass during the final stretch, spurring you on to punch them out of the way to win! For a racing game released in the late 2000s, I must say the graphics are pretty impressive and the soundtrack is pretty rockin’ too. It has a nice selection of electronic, rock and more. The vehicle selection is vast and full of different cars and bikes for experimentation. It is a pretty generic game in terms of plot, but I think I’d let it slide with its other improvements, including the addition of split screen, because as Paul Hollywood said, “‘MotorStorm’ is a pure arcade racing game and it needs split screen racing. Now you and three friends can race together on the same sofa, battle it out… it’s really cool.” That’s why I give “MotorStorm: Pacific Rift” an 8.5 out of 10. If you’ll excuse me, I need to get back on the PS3 and play this!